Want Melissa to contact you? 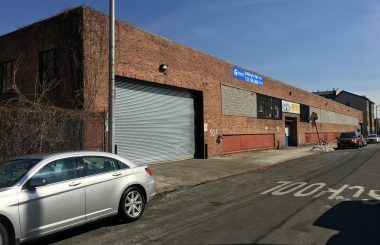 TerraCRG has been retained to exclusively represent ownership in the sale of the commercial building at 333-359 Moffat Street in the Bushwick neighborhood of Brooklyn. The property is located on a semi-private block at the intersection of Irving Avenue and Moffat Street. The property has 20,450 SF of warehouse space and 1,750 SF of office space for a total of 22,200 SF with 6,500 SF of parking. The property is ideal for as-is manufacturing/warehousing or have the potential for office conversion, recreational/sports facility, self-storage facility, etc. In the last decade, Bushwick has become one of NYC’s most popular neighborhoods. New residential buildings, retail shops and restaurants have opened to satisfy the demand for the new residents in the neighborhood. The Brooklyn real estate market has seen tremendous growth over the last few years. Brooklyn has become one of the most popular places to live, work, and invest. To these new Brooklyn Residents, Brooklyn is not merely an affordable alternative to Manhattan – to them – it’s a destination. This demographic is often the talent pool for tech companies, creative agencies and boutique finance firms. Recently, tech companies and creative service firms have committed to Brooklyn to be close to the new talented work force that has been drawn to Brooklyn’s different neighborhoods. 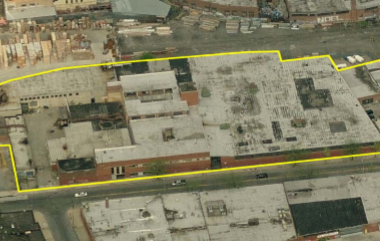 The property is located in one of the most premier areas for Bushwick development. It is only a short distance from Irving Square Park and is only a few blocks from the L trains at both the Halsey Street and Wilson Avenue stations. Irving Square Park received over $300,000 in renovations and there are nighttime movie screenings scheduled next summer. Bushwick is bound by Williamsburg to the West, East New York to the east, Bed-Stuy and Brownsville to the south, and Ridgewood, Queens to the north. Starting in the middle of the 2000s, the city and state of New York began pouring resources into the Bushwick neighborhood, primarily through a program called the Bushwick Initiative. The program goal is to improve the lives of Bushwick residents in the twenty-three square blocks surrounding Maria Hernandez Park through various housing and quality of life programs.